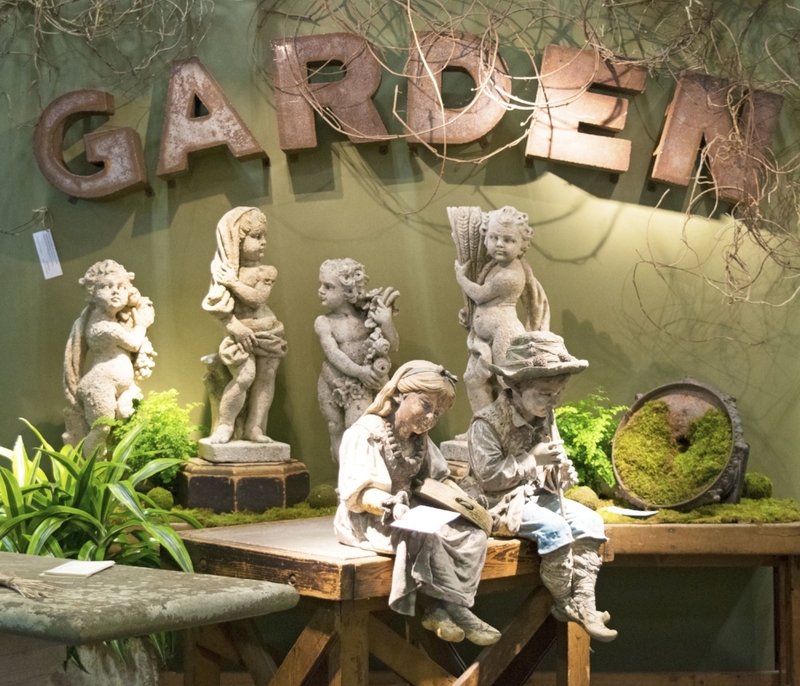 Another unforgettable Nashville Antiques and Garden Show has come and gone. 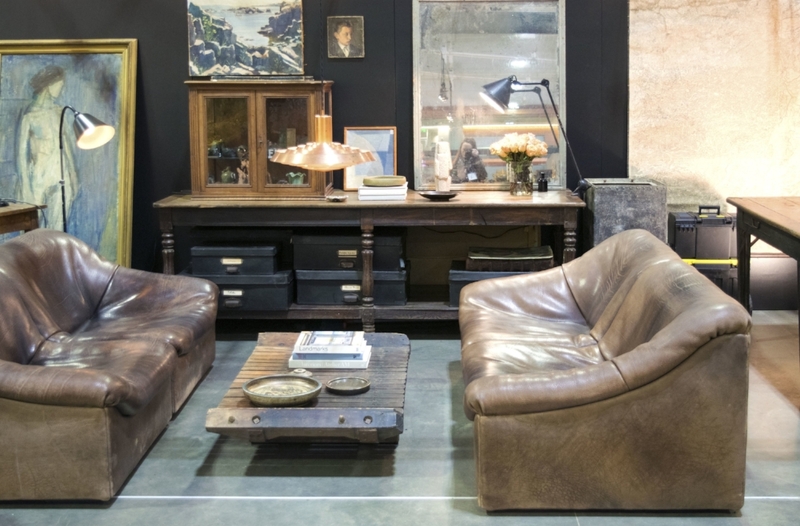 The memories of the stunning gardens, gorgeous booth after booth of all things antique and garden, and the inspiring lectures will forever remain as a special weekend in our hearts.. Yes, it was that kind of amazing! 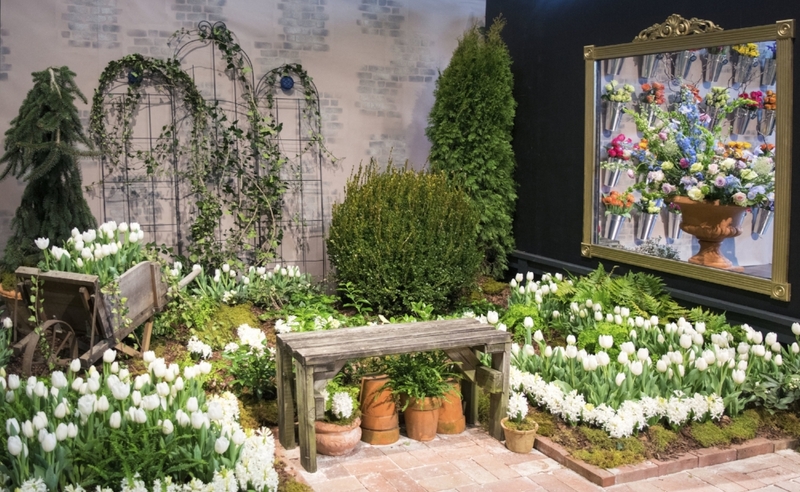 In case you missed it, here is a little stroll amongst some of our favorite booths and gardens. This was one of my favoirte booths ever - presented by the Finnegan Gallery from Chicago. I loved the antique garden theme carried thoughout the entire booth but my favoite piece was this pair of tera cotta figures. The description read: " Absolutley charming pair of late 19th century Victorian terra cotta figures of a young boy and girl by the Bretby Art Pottery Co. of Derbyshire. Empressed with the Bretby stamp on the underside. They were produced between 1891 and 1901. Entirely handpainted both figures display a remarkable degree of detail throughout." This reminded me of a French Flower Market. Any guesses what drew me to this booth? Hope you caught Leanna and I live on Facebook on Thursday. We wrapped up our tour of the show here at the fabuous booth of Garden Variety Design. If you missed it go over to the City Farmhouse page on Facebook. The live video is still available + 12 more from Thursday's preview of the show. Look for our exclusive interview with designer, Brooke Giannetti, and architect husband, Steve coming up next week. In the words of Lady GaGa, "Do not allow people to dim your shine because they are blinded. Tell them to put on sunglasses."